The business value of using Cloud services is great. We can confidently enable our organizations to capture this value if we adapt IT and Security to this distributed application model and embrace our new role as a business services brokerage function. 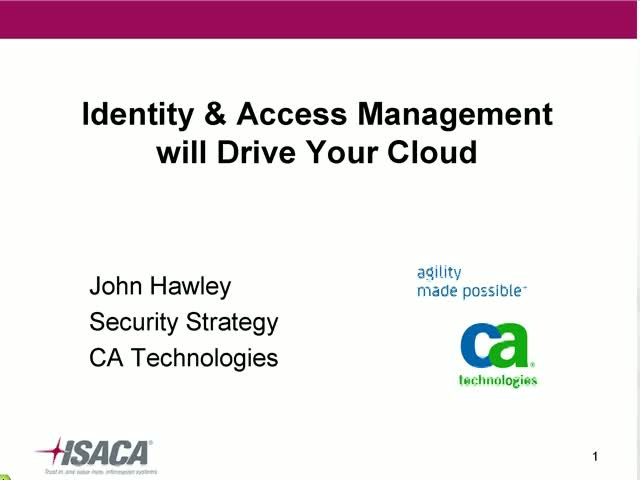 John will discuss how to overcome the Shadow IT movement, how to evaluate security of cloud providers, and how to implement a Cloud Security Broker to centrally enforce security policy across this new supply chain.